I love my son. There is no question in this world that I love him more than life itself. There are times that I felt the struggle was more than I could bear, when I really was not sure what the next step was going to have to be. As a mom of three boys, our autistic son being the oldest, the safety of the younger brothers was always of paramount concern. How do you meet every child’s needs, including those with special health needs and continue to keep the rest of the family safe? Unfortunately these are questions that families who have a loved one on the autism spectrum need to ask themselves nearly every day. In a world where 1 out of 6 children is diagnosed with an autism spectrum disorder or Attention Deficit Hyperactivity Disorder (ADHD), this is the life many families are forced to face. available for teenagers and young adults as they age out of the school programs and therapy that made a difference. You now have a young adult autistic population who are mostly disabled with little to do. Many don’t drive and don’t live alone. They may live at home with family if severe mood swings and aggression are controlled, they may live in a group home or they may live on their own with assistance. Unfortunately programs for this growing group of autistic young adults are few and far between. This is their reality. A future with limited choices for the individual suffering with autism and their families. I once spoke with an attorney who had an autistic child. We talked about vacations with family. It was sad when I heard him say we can’t ever go on a vacation. It is not possible. The child was not capable of participating in a family vacation getaway. The parents had no options for respite care in their area so the choice was no vacation ever. Day in and day out they become the permanent caretakers for their child without any hope of a break until they die. This is the sad truth for some. I know this because this was my life as well. As my son was completing high school and he was growing, we were experiencing problems with medications mostly due to hormonal changes and growth. Here was a teenager who still acted like a 10 year old and had mood swings and frustration like a toddler. Problem was he was a big guy who was stronger than he realized. With concerns for safety at home, we certainly were not going to be taking a family vacation. (More on failed vacation attempts will be covered in a future post.) These are the safety concerns a family with autism may face. This was the concern for our family as well. One day my son became frustrated because his plans had been canceled. It was something out of our control as most families affected by autism realize that simple changes in schedule can be a cause for severe mood swings or aggression. I was out by the driveway and it had started to drizzle. At that moment, he pushed me and I flew on our sloped driveway. First I landed on my right shoulder and then flew to the other side to my left arm and left knee. I could not move. My son, scared at what had happened, ran into the backyard and hid. My other sons heard me scream and ran out of the house. All I remember is one son had an umbrella over my head and another was trying to get me up and I could not move. My husband was running an errand and was not home at the time. It was not a fun day. We spent the rest of the day at the local Florida emergency room and I soon found out I had a broken right shoulder, a broken left arm and a very swollen left knee. Not only was it painful to recover from the injuries, I was afraid and had to come up with a plan to keep the rest of the family safe. The first call was to the doctor where they tweaked his medications to help calm him down. Then we made some major changes to diet. We cut out processed foods, soda except for limited exceptions and added a daily high antioxidant protein shake and Beyond chocolate omega squares. Within three months, the doctor was able to reduce his medications. Within a year, his mood swings were completely under control. 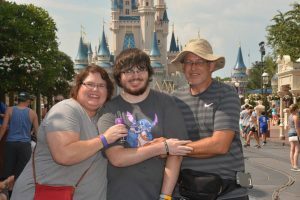 He started showing more eye contact and although he is certainly still autistic, his quality of life and our family quality of life has improved greatly. I can’t stress enough how important it is to change the diet. 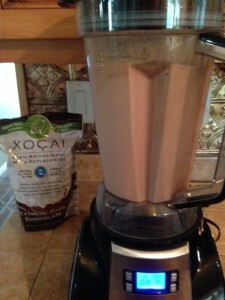 The shake my son and I do every morning is called the Beyond Healthy Chocolate Co. protein shake. It is made with cold pressed dark chocolate sweetened with acai berry and blueberry. I purchased a special cup for my son and I for our shakes and we found a recipe we both liked. Our favorite shake is made with a frozen banana, creamy peanut butter, water, ice and two scoops of the Beyond X-Proteinmeal shake. It makes a very thick frothy chocolate shake. The frozen banana makes it taste like ice cream. We both love it. One shake has over 56,000 ORACfn (the amount of antioxidants) and 21 grams of protein. The shake is gluten free, diabetic friendly and GMO free. We have lots of recipes, so be sure to message me for a list of recipes. this is complete nutrition. You need to be sure the shake is made with whey protein isolate and not just whey protein which is a lower quality and grade. Antioxidants are what is found in fruits and vegetables so eating 56,000 of them in one serving is a big deal. That is more than most people eat in a week. 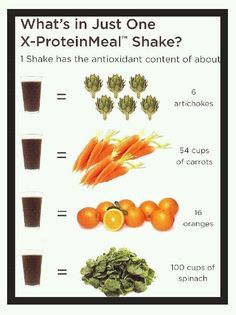 Check out the picture here that shows the comparison of how much fruits and vegetables you would have to eat to get the antioxidants in just one serving of the shake. In addition to the shake, I also give my son Omega dark chocolate squares with Omega 3 fatty acids. Try it today. We noticed a difference over time, it was not overnight. Keep track on a note pad of the changes you see. If your child is less stressed, seems calmer, better able to handle change or less likely to get agitated these are things to note. We have continued to see an improvement in mood and don’t see severe mood swings any longer. Our son is still on medication, but this is an integral part of his treatment plan. Even his doctor noticed a difference. Improving the diet of your autistic child is never a bad thing. 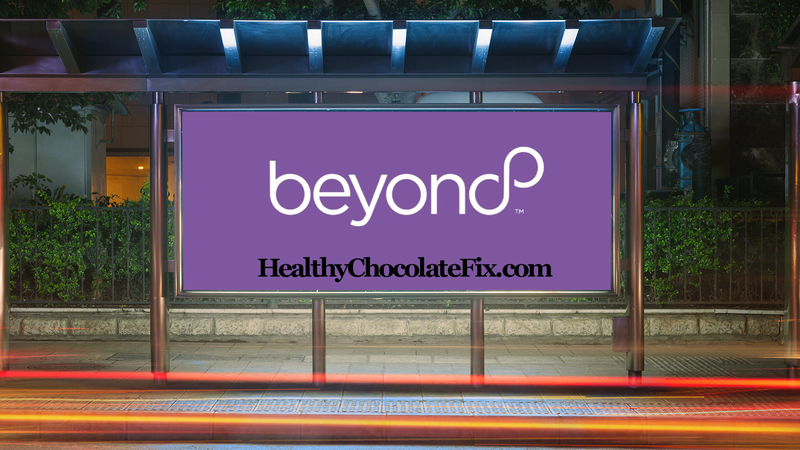 I am Lynette Henk and my family has been eating Beyond healthy chocolate Company products for over 5 years. Not only does my autistic child have the shake and the Omega squares, my other children eat the Xobiotic squares and the Xe Energy drinks. It has improved the mood of our whole family. Thank God for healthy chocolate! Call us today if you have any questions. We can be reached at 941-216-5727, or visit our site at HealthyChocolateFix.com . Once you see the benefits with your family, you may choose to get paid to share Well-Beyond Healthy Chocolate or get your products free. If you are interested in getting paid to share, we should talk soon! Well-Beyond is in prelaunch mode with a ground floor opportunity available now. Las Vegas Well-Beyond Launch event is January 18-20. Savvy individuals who want to be involved in the Well-Beyond MLM opportunity contact me today. We have wonderful products and I believe this is going to be a great opportunity. Call Lynette or Wayne at 941-216-5727. Disclaimer: Beyond products are part of a comprehensive approach to a healthy lifestyle. Beyond is a super-food. Beyond products do not claim to treat, cure or prevent any medical condition. Healthy Chocolate Is Poised For Massive Growth. Have You Tried This Delicious Belgian Chocolate? Autoimmune Disease And Chiropractic: Is There Help For Systemic Lupus, Fibromyalgia and Chronic Fatigue? Hi there,I read your blog named “Autism, Aggression, Severe Mood Swings And Solutions For Teens And Young Adults And Their Family | The Health Chocoholic” regularly.Your writing style is awesome, keep up the good work!